Even saying the word “stew” makes one feel warm inside. 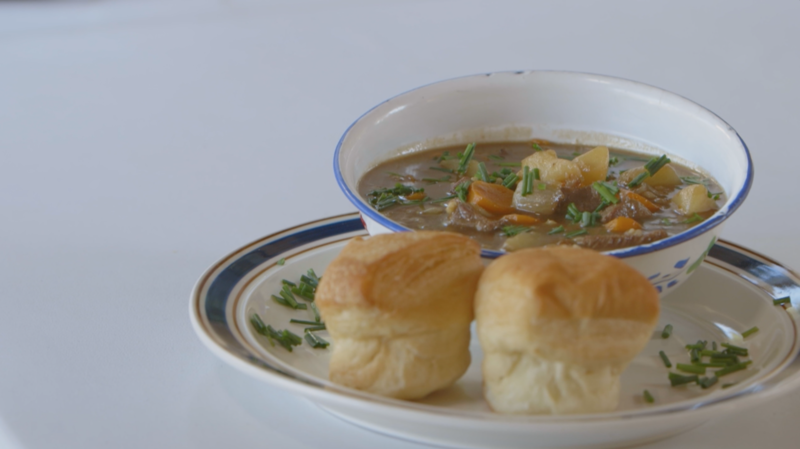 This stew will surely make you feel warm and full! • Dredge meat chunks generously in flour and fry in oil until browned then do the same with the fresh veggies. • Add meat & veggies to preheated stock and bring to a boil. • Boil meat & veggies over medium heat for 20 mins then add the barley & bouillon and cook for another 30 mins or until vegetables reach desired tenderness. • Serve immediately in rustic bowls with a side of frybread and some minced wild onion.